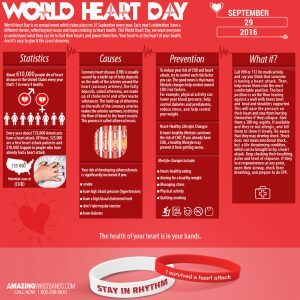 Did you know that heart disease is the number one cause of death worldwide? Most people are unaware that they have a heart problem. Hence it is important for all of us to be informed about the risk factors associated with it and keep our hearts healthy. Because of their easy customizable nature, using customized silicone wristbands is one the best ways to spread awareness. You can easily customize them at AmazingWristbands.com – the leading provider of silicone accessories. 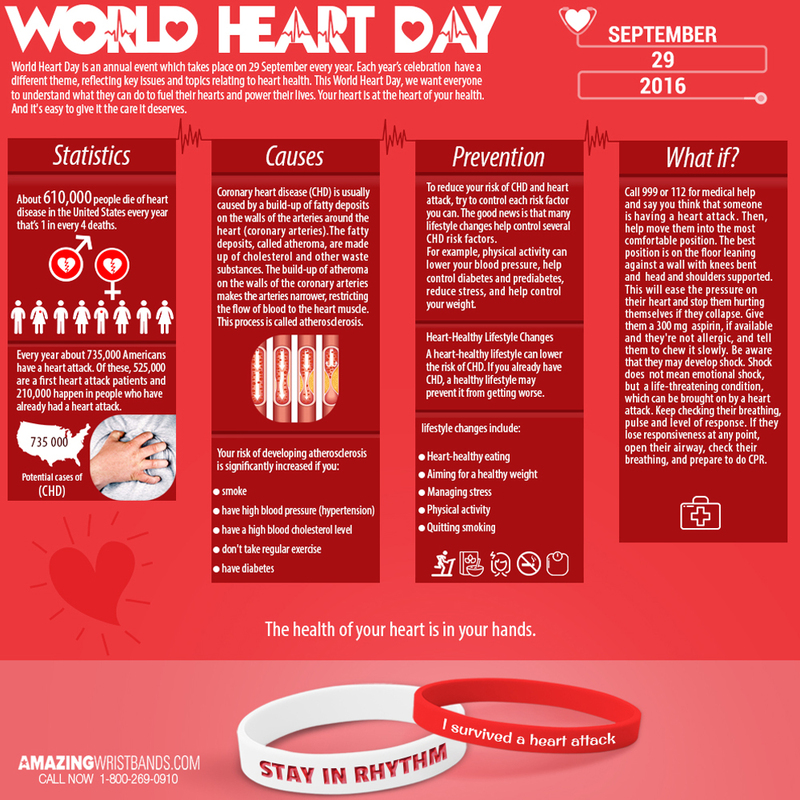 Heart disease may be a leading cause of death but if proper awareness is created, it can be prevented to some extent. Though there are some risk factors like family history and ageing, by adopting a healthy lifestyle, the risk can be reduced. To keep you alive, your heart works hard for you throughout your whole life. Hence it is your duty to protect it well. There are many ways you can keep your heart healthy such as going on a nutritious diet, doing regular exercises, keeping your blood pressure, sugar level and cholesterol under control and avoiding bad habits like smoking tobacco or drinking alcohol. There are hundreds of ways you can support awareness but in view of their popularity and versatility, wearing custom silicone wristbands is one of the best ways to spread your message powerfully. Though they are available in various message styles such as screen-printed, debossed, ink filled debossed, embossed, color filled emboss - screen-printed or imprinted bands are more popular as they carry your personalized, branded message with your own graphics. Using screen-printing techniques, your message is neither raised nor recessed but instead is printed crystal clear onto the top layer of the bracelet. They are made up of high quality silicone material and are durable, comfortable and non-allergenic. In addition to the standard size of ½ inch, these bands are available in various sizes such as ¼ inch thin, ¾ inch wide, 1 inch extra wide, slap bands, ½ inch adjustable bands, ½ inch key chains, ¼ inch thin silicone rings and ½ inch standard rings. 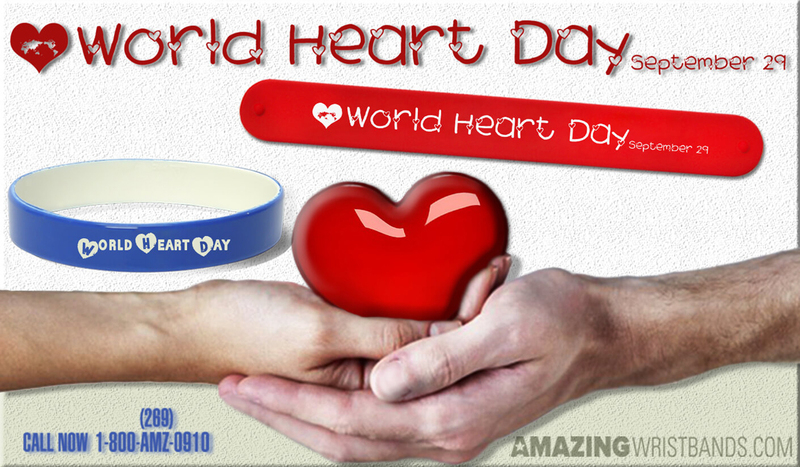 Choose red color bands which is the awareness color for heart disease and print messages like “Keep your Heart Healthy”, “Avoid Tobacco & Alcohol”, or “Eat Fat-free Diet” and use them like a giveaway gift in your awareness campaign. Red color symbolizes enthusiasm, confidence and it stimulates energy. Our products can be customized directly through our online design tool which is easy to use and helps customers create exactly what they want. You can get our products at a very affordable price. When purchasing in bulk, you can even avail of special discounts. We have a variety of colors, fonts, artworks for you to select from. Choose any of them or upload your own. Special effects such as swirled or segmented colors, glitter, or glow in the dark. No mold fees on any quantity. No minimum quantity for your order on selected wristband styles. Free shipping, artwork, design, and color matching. Many different colors and color combinations to choose from. Delivery takes 5 – 7 business days for selected products. Let us defeat heart diseases and live a healthy life!